Non-healthcare innovators such as Amazon, WalMart and Google are rapidly leveraging retail delivery of healthcare services, and effectively shaking up the industry by providing consumers alternative ways to access care. CVS Health’s expansion of MinuteClinics and intention to buy Aetna are just a few examples of recent moves disrupting the healthcare industry. Amazon also made a bold leap into the Medicaid market recently with the announcement that it will offer beneficiaries a discounted Prime membership. Big names such as Amazon already have the proven market reach, the scale, and the mastery of reducing costs and streamlining their supply chains. This gives them great advantages with providing consumers cheaper and easier access to medication and care. 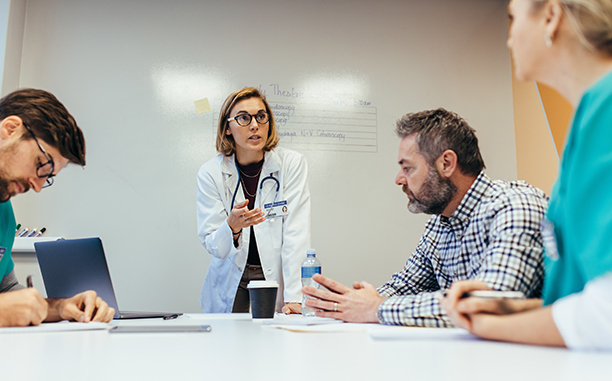 These industry disruptors are vastly changing the healthcare landscape, and are understandably causing concern among traditional and independent primary care providers. This trend comes at a time when providers are already under mounting pressure to drive down costs through improved operations. Such pressures have largely driven an uptick in mergers and acquisitions, in efforts to create economies of scale, achieve greater diversity in delivery of services, and expand market shares. On the surface, cutting business costs might not seem like a long-term solution to competing against industry disruptors. But expense reduction is far more than just spending less – it requires creating a measurable plan and taking a deep dive into your spending and operational habits. This kind of analysis is critical for identifying and minimizing deficiencies, as well as improving transparency and accountability along the supply chain and operations. It can help ensure companies are less vulnerable and better prepared to respond to uncertain or unfavorable economic conditions – something that investors take notice of. In fact, a recent study revealed that companies with a low cost base (measured by selling, general and administrative expenses) as a percent of revenues tend to generate higher levels of total shareholder return. Of course, the more immediate benefits to strategic cost savings are improved profitability and increased cash flow. However, when done right, identifying opportunities for sustainable savings can also provide much needed long-term benefits. For one, it’s an obvious part of responding to the increasing pressures to lower costs. It also allows companies to pave the way for better decision-making, transparency and agility, all of which are important in competing with the speed and convenience of retail clinics. Finally, cost reduction frees up valuable resources that can be redirected to support healthcare providers’ efforts to expand their offerings and effectively meet consumer needs. Working with an experienced partner is the best way to ensure your expense reduction efforts are strategic, measurable and long-term. Contact us to learn how Silverback can help.